Toptalers are gathering for an afternoon of coworking in downtown Vancouver. Come join us at Breka Bakery and Cafe on May 23rd starting at 3:00 PM and bring your Toptal client work, personal projects, or anything in between. 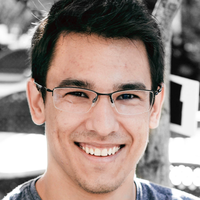 This event will be a great opportunity to meet fellow Toptalers, including Toptal developer and Community Leader for Vancouver, Luiz Ferreira. If you happen to be in the area between 3:00PM and 6:00PM that day, make sure to drop by and say hello. Feel free to bring a guest if they would enjoy meeting the community, or learning more about the company. Please RSVP on this page to give us an accurate headcount. For any questions regarding the event, please contact the event organizer, Luiz Ferreira.